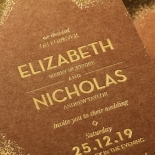 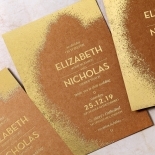 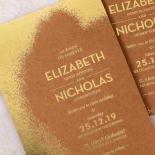 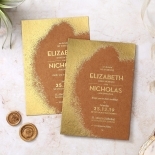 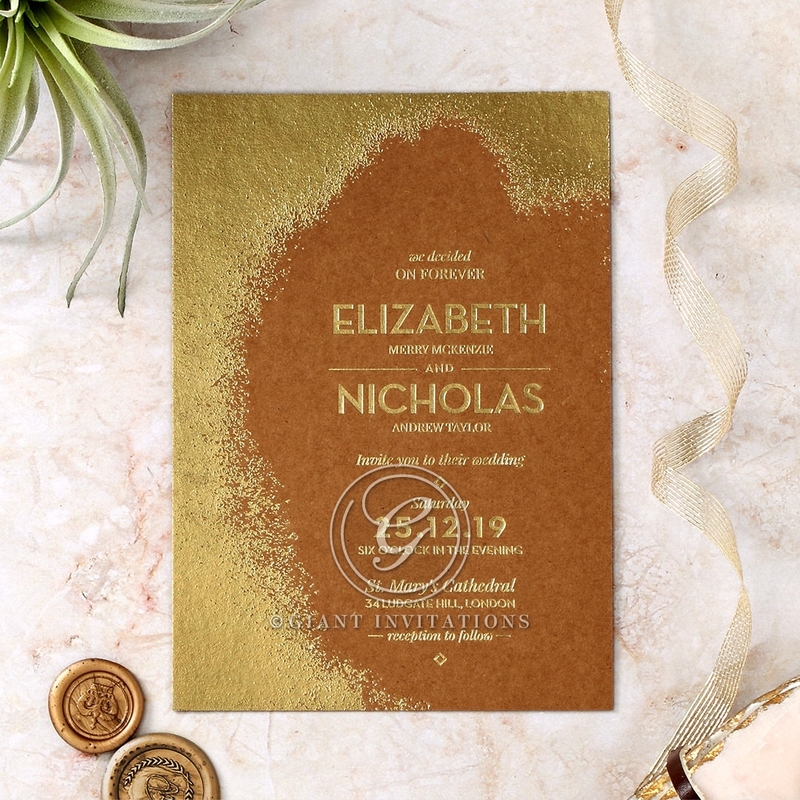 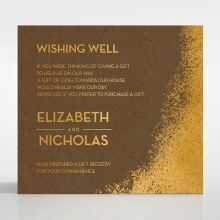 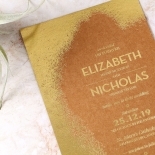 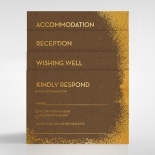 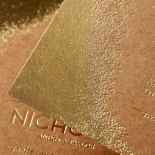 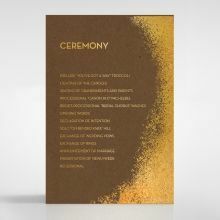 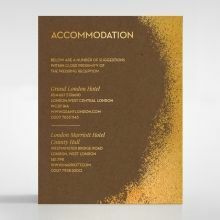 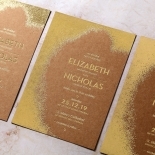 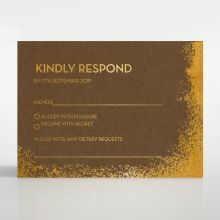 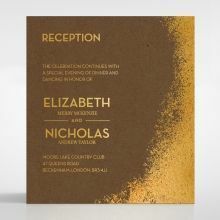 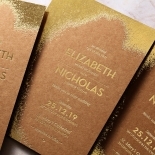 An invitation effortlessly oozing in glitz and glam, Dusted Glamour presents your guests with dusted luxurious gold foil splashes against our textured craft paper. 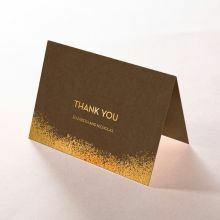 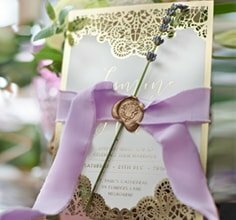 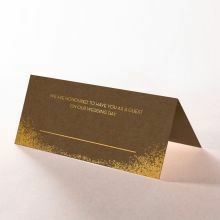 Add of touch of magic to announcing your special day as your guests will be made to think of magical fairy dust with this dreamy card dripping in charming gold, glistening foil. 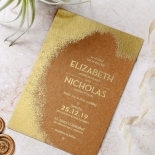 A whimsical and wonderful piece of art, this will fit in well with any type of gold-kissed wedding theme or accents. 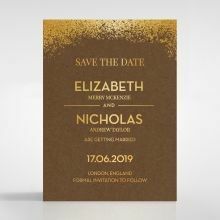 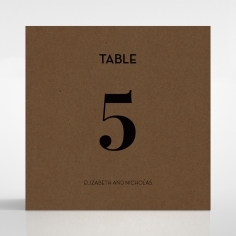 Giant can customise this wedding card for you so that you are pleased with the font, text, patterns and arrangements and if you really want to finish the look off perfectly, we can design you a paper band that will feature the name of your guests.